If you are like me and need Spring to be here, like yesterday, then this happy flower is sure to brighten your mood. Gather five pieces of completely square paper. Turn your triangle so the long side is facing you. Fold the right corner up to the top of the triangle. Repeat on other side. Take the newly formed right flap and fold down to the edge of the square. Repeat on left side. Open the right skinny triangle up slightly and press into a diamond shape. Repeat on left side. The top of the diamonds will poke up over the edge, fold these down so they line up with the rest of the creation. Take the right flap and fold up. Repeat on left side. Put a tiny amount of glue on the top right and left corners of your petal and connect. Hold in place until you feel it is securely fastened. 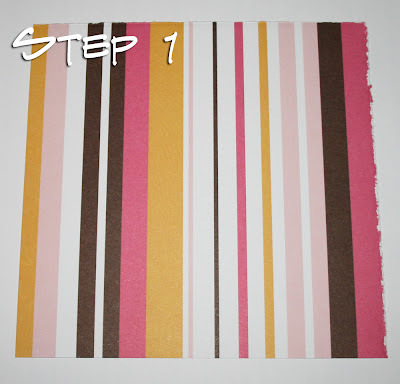 Repeat steps 1-8 four more times until you have five petals. Glue petals together into flower shape. Hope these steps aren't too confusing. Let me know if you get stuck anywhere along the way! 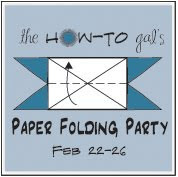 Thanks for joining me for Day 2 of the Paper Folding Party! 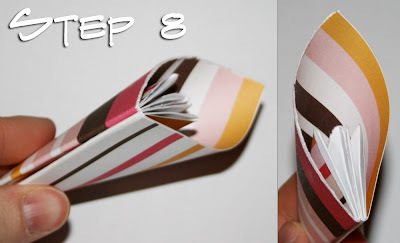 Join me tomorrow for a paper accordion scrapbook from the How-To Gal archives. P.S. 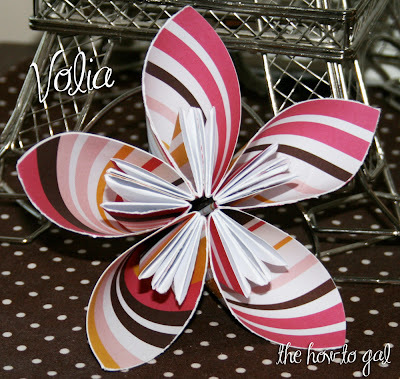 Have a paper creation you would like to learn how to make? Email me and I will figure it out and post a tutorial! So cute! And I have a ton of scrapbook paper I could use! Just stopping by from Today's Creative to say hi! Just signed up to follow you too. 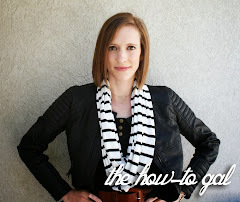 Stop by when you get a chance http://juliechats.blogspot.com. I'm always looking for a few more crafty followers! So cool! I think you could make a dress out of these. Could you sew them together? How amazing would that be? cute idea...great tutorial. Nice gift idea.like it. This is it! I make a plenty of this flower when I was young and I forgot how to make it. I tried but I don't remember how, now I found your tutorial! Thank you so much! !